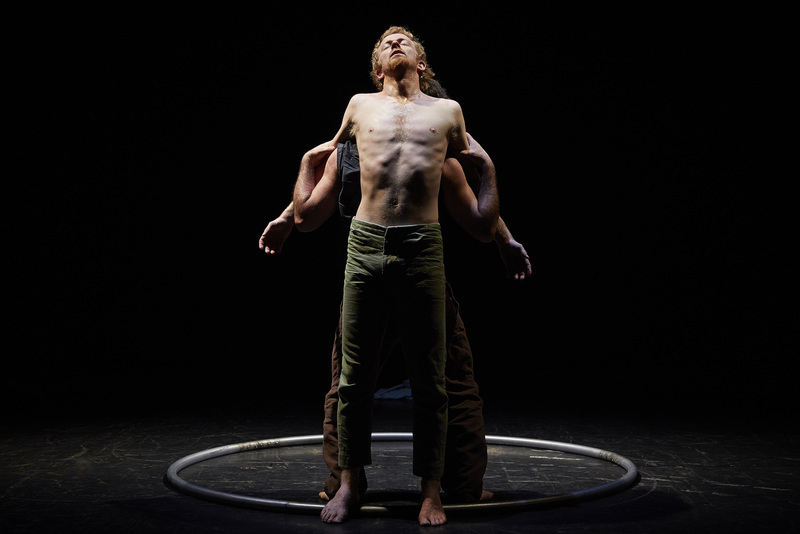 Juan Ignacio Tula and Stefan Kinsman explore the singular trio they form with a Cyr wheel, performed in a space and time frame marked by circularity. Santa Madera (in Spanish – sacred wood) is rooted in the traditions of the indigenous peoples of South America who, during popular festivals, rituals and spiritual ceremonies, use a sacred wood – the Palo Santo – to chase away evil spirits and celebrate the fraternal bonds that unite their community. Playing on both their similarities and differences, Juan Ignacio Tula and Stefan Kinsman share their questions regarding religion, paganism, multiculturalism, identity and the double. 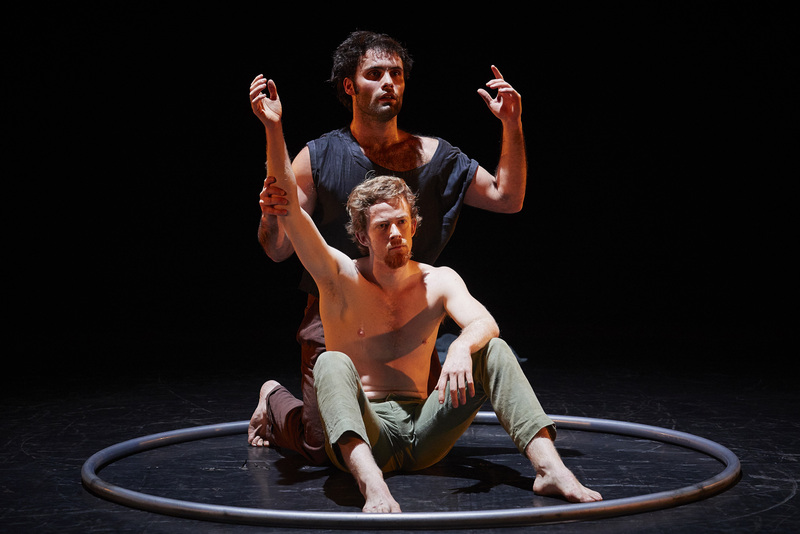 With Santa Madera, they explore a relationship formed of violence, forgiveness, fraternity and tolerance, reflecting these ancient rituals that summon up the invisible. THE SOFA PROJECT | Marija Baranauskaitė (Lithuania/France) - premiere! 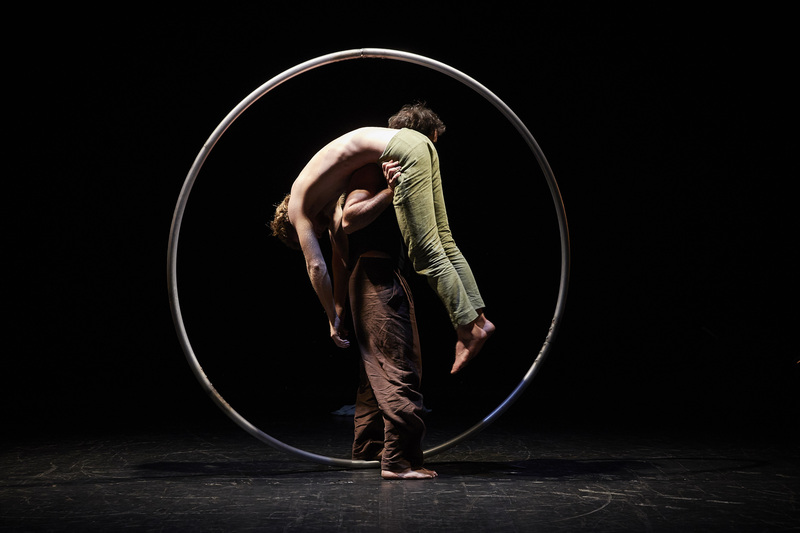 It is a contemporary circus project that is being developed by mixing contemporary dance, clownery, bufoon, performance art, music and video disciplines for human and non human audiences. Through movement and dry humour the project deals with the issues of the relationships between the humans and sofas. How are we as human beings related to sofas? What can we discover about our selves and others (humans and non humans) in these relationships? Can sofas perform with or instead human performers and can humans perform for sofas? How much consiousness is needed to be an audience member? And the performer? 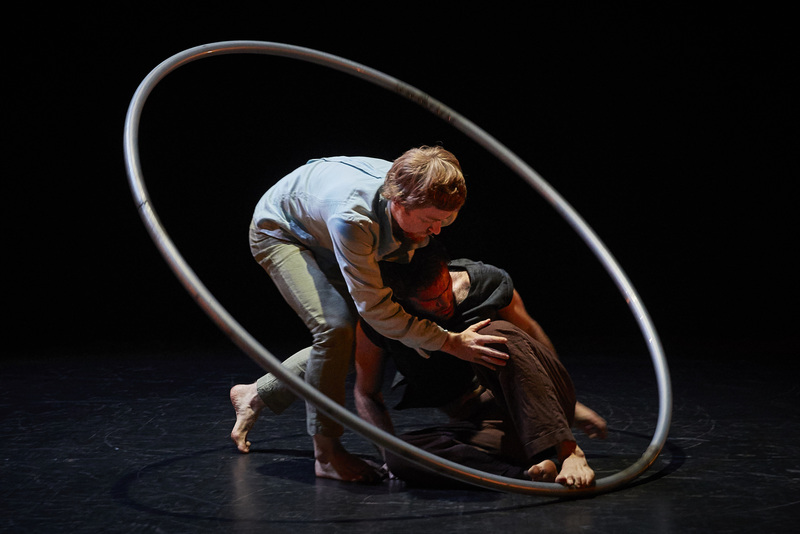 The project offers another approach to the performing arts, develops new ways to experience circus. Marija Baranauskaite has graduated from Lithuanian Academy of Music and Theatre and has been teaching and performing professionally since 2013. She is a member of RED NOSES Clowndoctors organisation. Has trained her artistic skills with Master Teachers Philippe Gaulier, Eric Davis (RedBastard), Lassaad Saidi, Philip Burgers, Ami Hattab, Carlo Jacucci, Lorenz Wenda, Roberto Magro, Marten Spangberg, David Zambrano, Claudio Stellato and others. Cow love is an absurd corner, joining high fashion of sports, the sour taste of milk, songs that never will be a huge hit, plastic flowers and caprice of love. A children's game in a sickening schizophrenia, the burning side of our finest obsessions: «chronic stupidity, the pleasure of imperfection». Nanda Suc began dancing at the age of 5. 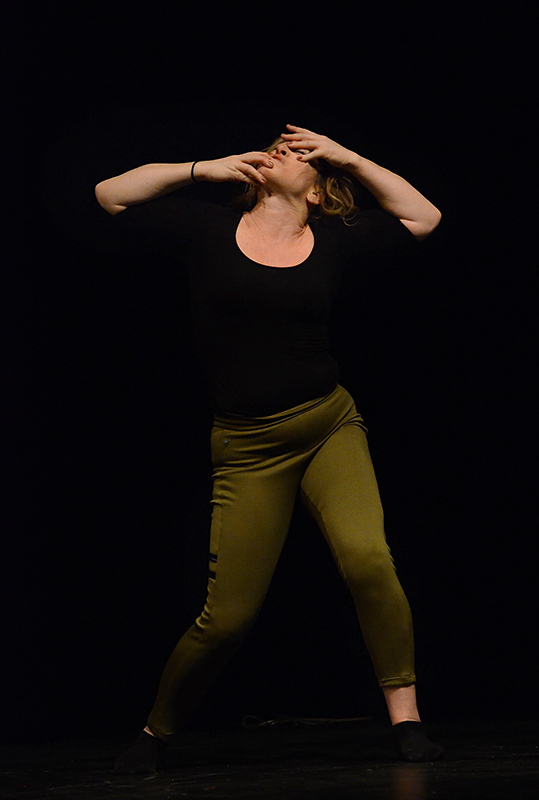 After obtaining BA in Theatre studies, she spent a year at the center James Carles in Toulouse. From 2007, she performed at Gregoire & Co (choreographer Sylvie Le Quéré). 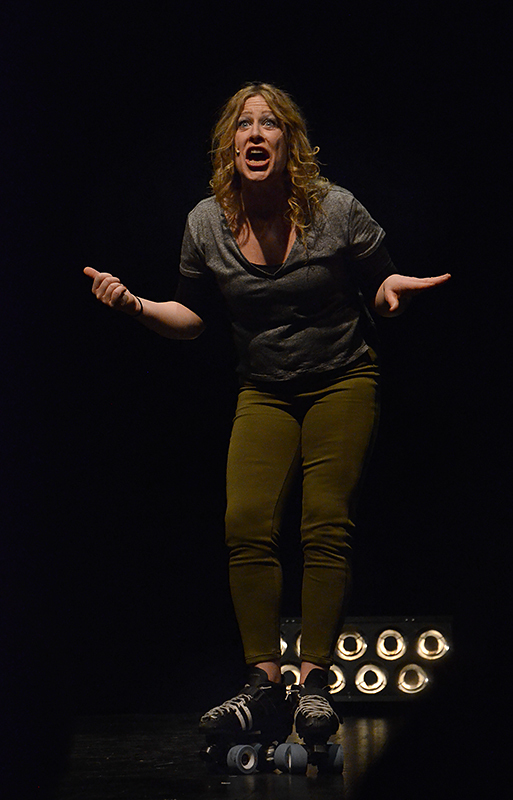 In 2011, she has co-created her first play with Coralie Neuville „One beautiful day“. In 2012, she created COW LOVE, with Federico Robledo. Since 2013, she is working with the association Cirque Galapiat. 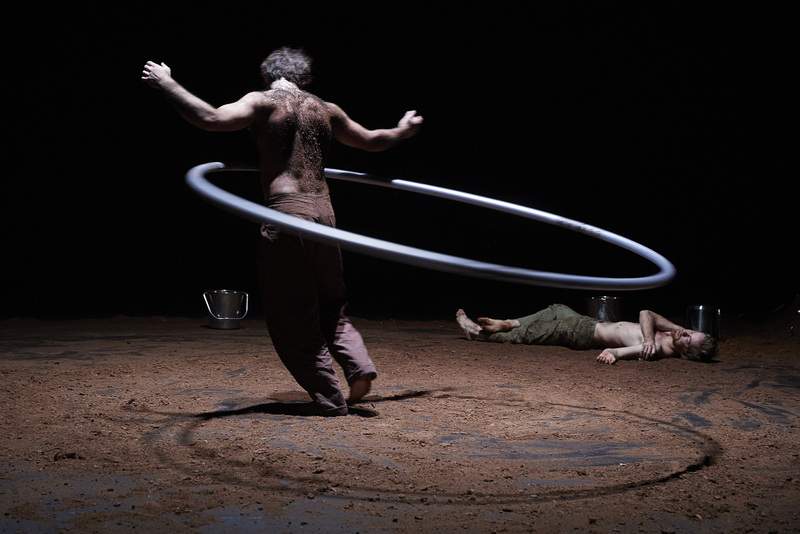 2013, he works mainly with the association Cirque Galapiat. Monckton’s stage is one metre square. There’s a chair, a lamp and a circle painted on the floor. 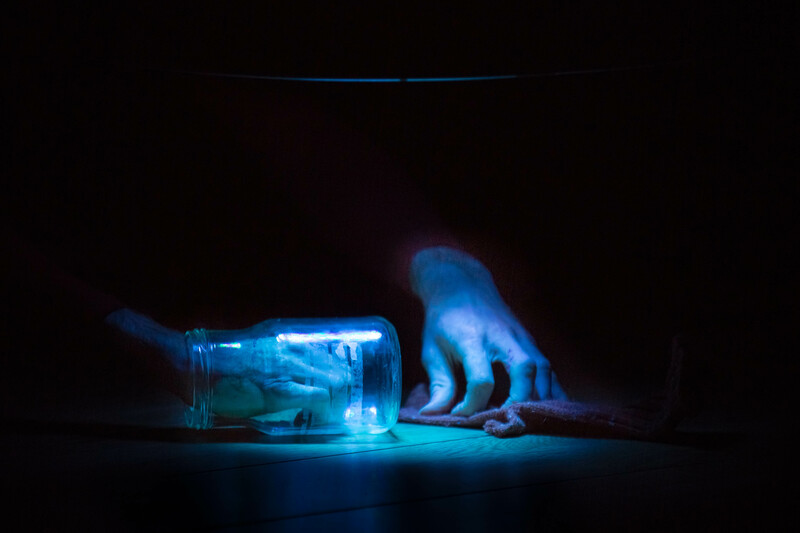 With its quirky, low-tech aesthetic and using just his bendy, bickering, wiggling hands and seemingly uncontrollable face, Monckton creates an exquisite piece of micro-physical theatre unlike anything you’ve seen. An hypnotic show about a lot, using very little. Born in New Zealand, Thomas Monckton trained in circus arts in Christchurch, and then at the Lecoq school in Paris. His solo show for Circo Aereo, The Pianist, was a hit at LIMF 2015 and continues to tour worldwide. 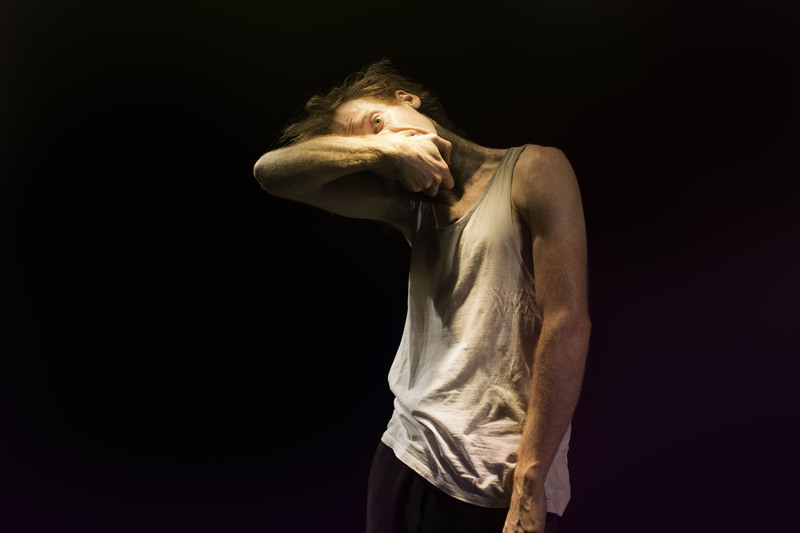 Now based in Finland where he is a member of the Kallo Collective, fellow Lecoq-graduates, he premiered Only Bones in New Zealand in 2015 before taking it to the Avignon and Edinburgh fringe festivals in 2016 where it played to sold-out houses. 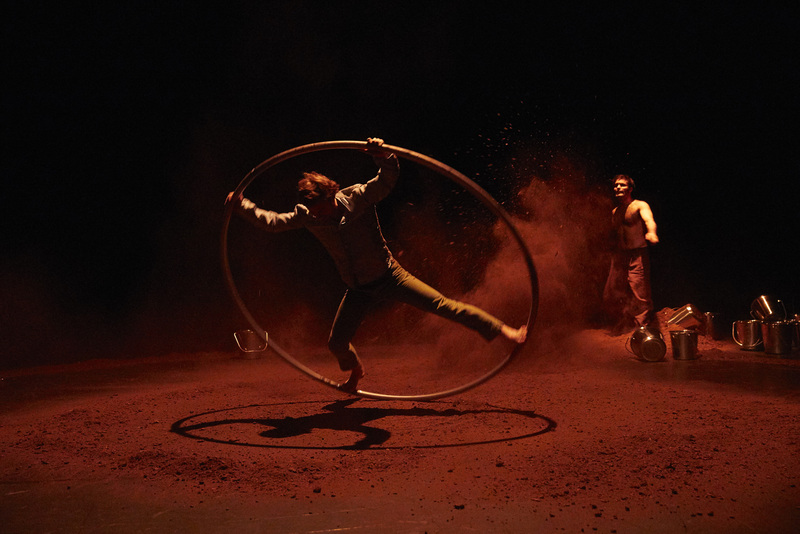 Kallo Collective is a physical theatre and contemporary circus company, producing high quality non-text based and tour-friendly shows that appeal to a wide audience. 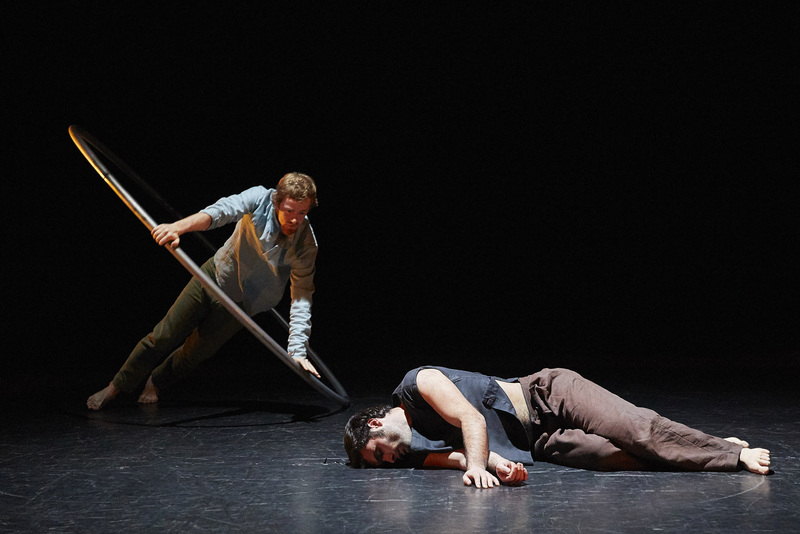 The company performs internationally with bases in Finland, France and New Zealand. 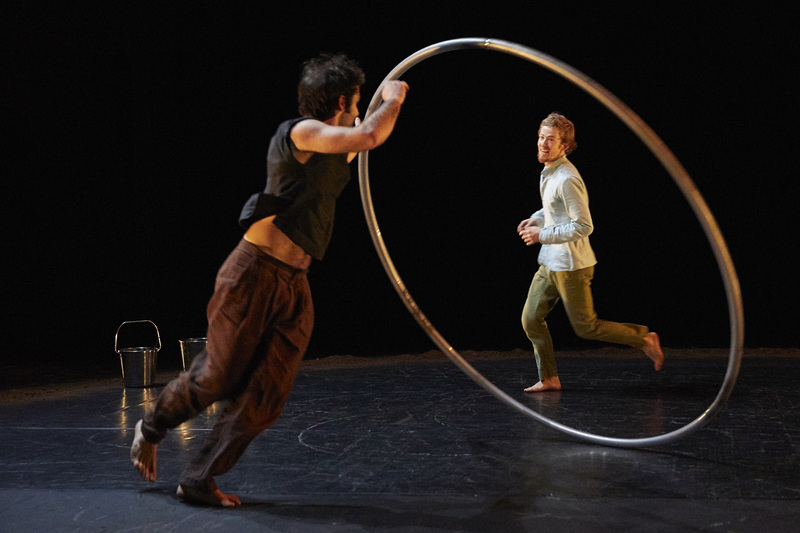 The founding members all studied together at the physical theatre school of Jacques Lecoq in Paris and all members have a background in circus training. In Wounded Animals, Angela Wand exposes her truth of being “bad” at being a human being. Casting aside what is morally correct to make way for the potency of the truth, Angela uses comedy, circus, storytelling, roller skating, fabulousness and personal confessions in this one-woman show to draw her audience in on a multifaceted rollercoaster hit-n-run that is not only entertaining but actually provokes the possiblity of being moved. The content teeters recklessly between fun and light to brutal and honest. 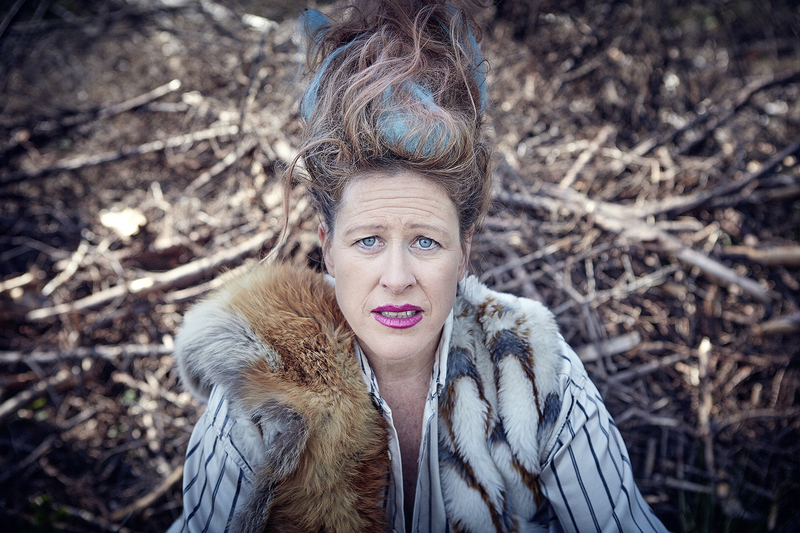 From institutionalised racism to Tinder addiction, Americana suburbia, guilt, sexism and veganism, Angela shares her relationship to these subjects leaving space for the complexity of the questions to resonate with her audience. The tempo, fast. The result, heart wrenching and warm. 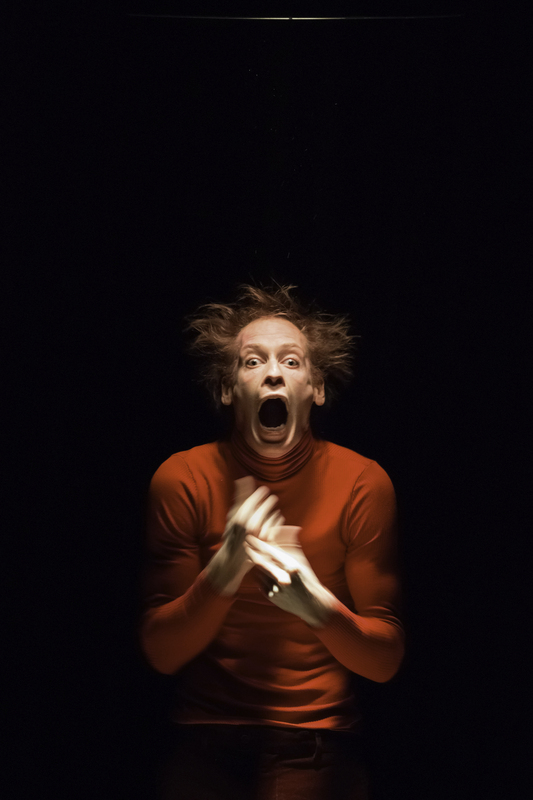 Angela Wand is an American contemporary clown and physical performer. 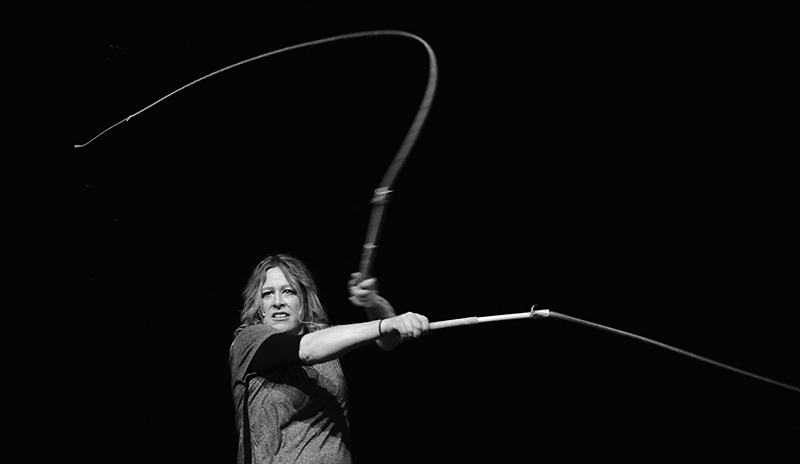 Originally from California, Angela has worked in Sweden for 20 years as a frilance artist with companies such as Circus Cirkör, Burnt Out Punks, Ruby Rose Productions, Uppsala Stadsteater, Stockholms Stadsteater, Clowns Without Borders and on national Swedish TV. Wounded Animals is Angela's first solo and is directed and co-created with Stephen Rappaport. The director, actor and artist Stephen Rappaport is known for his unique way of working with creator's creation. The cooperation with Angela Wand began when she attended Stephen Rappaports workshop "Intuition in Action". Stephen and Angela starred together in the immersive theatre experience 'Satans Demokrati' carrying the lead roles to sold out audiences in Stockholm. Various shows Stephen has directed are Glitch (Johan Wellton), Baby Drama (directed by Susan Osten), Autodidaket in enmansakt (Shima Niavarani), I Can Do This (Circus Performance / University Of Dance and Circus). 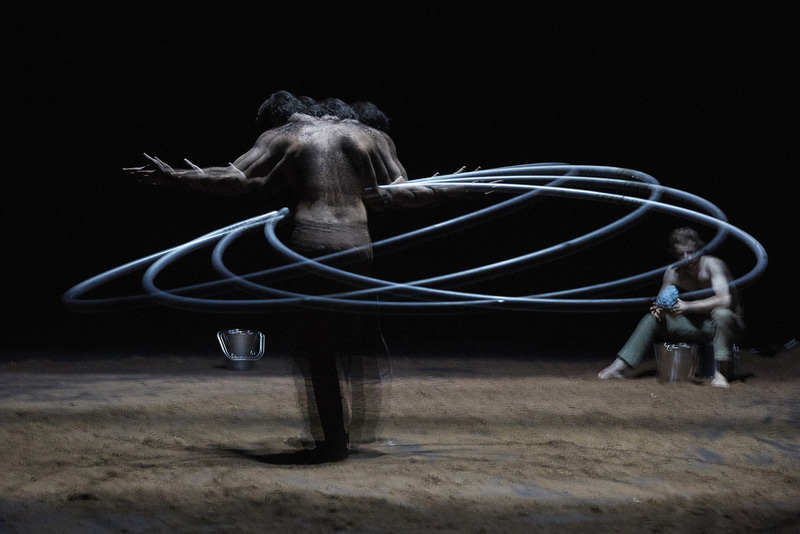 Simultaneously raw, frantic and delicate, seven skilled acrobats push their physical limits without reserve. Supported by driving percussion, immersed in every moment, A Simple Space evokes real responses in audiences, visceral rather than cerebral. There’s no fine--‐tuning of performances with make--‐up, lighting and contrived theatrical overlay. Sitting close to a stripped back stage, the audience feels the heat, see the sweat and hear every breath. 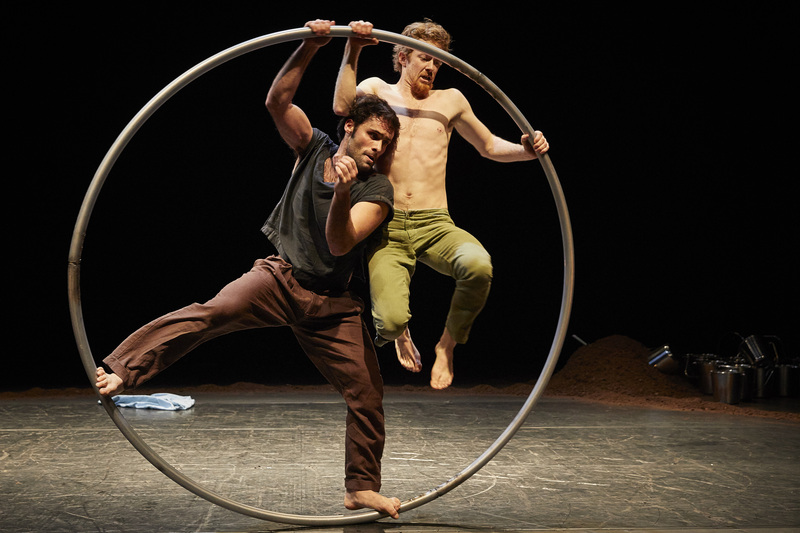 Armed with nothing more than brute strength and cat--‐like agility these acrobats break down their usual guards, introducing the reality of possible failure and weakness. With nothing left to hide behind, personal narratives shine through. This honesty is the essence of A Simple Space. 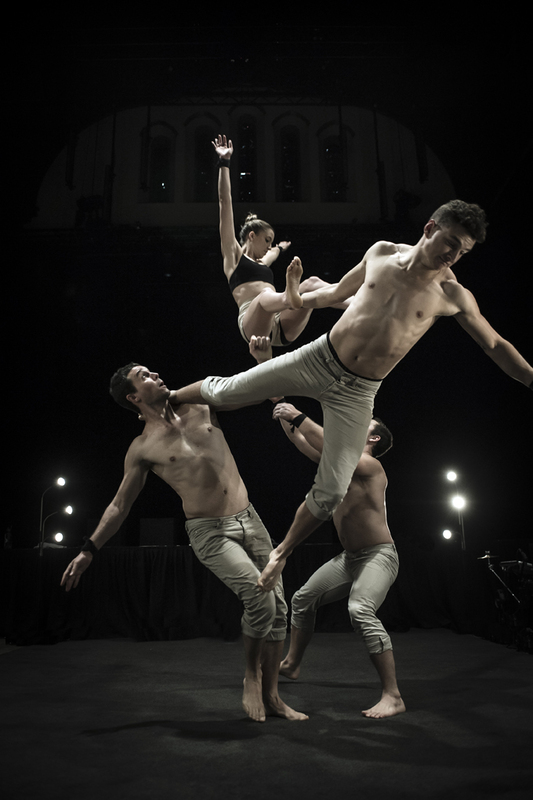 Gravity & Other Myths (GOM) is a multi-­‐award winning and well respected Australian acrobatics ensemble. The company creates engaging works of acrobatic art for touring, festivals and corporate clients. 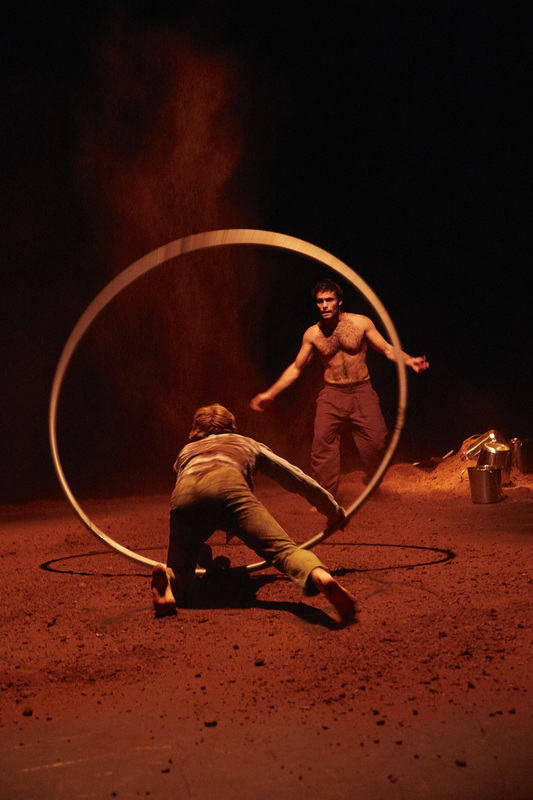 Formed in 2009 in Adelaide, South Australia, the ensemble creates and directs their own work with emphasis on an honest approach to performance, moving away from traditional circus and theatre models, towards a fusion of acrobatic physical theatre. Free entrance for children: NO (no). Permission to take photos, record: NO (ne). The event organiser assumes full responsibility for the event, its performance, non-performance, quality, content, information on the event and any other circumstances related to the event. TIKETA provides the event organiser with a ticket distribution service and is not responsible for the event and its performance. 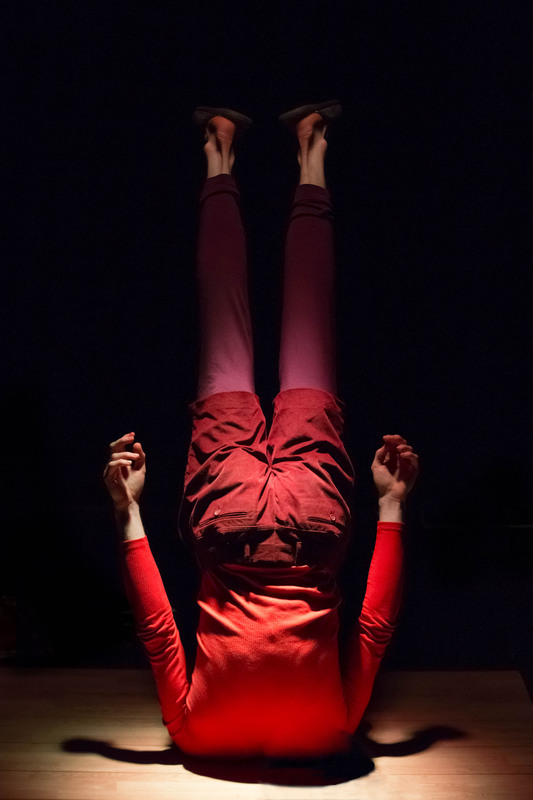 TIKETA acts as an uncovered intermediary.